Many may conclude that a little "work" here and there may take years off your face but according to a new study--not exactly. The study, appearing in the Archives of Facial Plastic Surgery, found that the patients (studied) who underwent facial plastic surgery were estimated to be almost nine years younger than their chronological age after certain procedures, but the change in perceived age depended largely on which procedures were performed. In the study, researchers followed 60 patients (54 of them women) who ranged in age from 45 to 72. They then divided the participants into three groups. 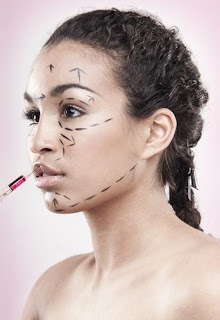 The first group had face and neck lifts, the second had face and neck lifts along with eyelid work and the third group had all of those procedures in addition to forehead lifts. Medical students were asked to estimate the patients' age based on photographs. The change in perceived age varied based on the specific procedures performed, according to the results. They found that for the first group of patients, the mean (average) change in perceived age was 5.7 years; for the second group it was 7.5 years; and for the third group it was 8.4 years. Overall, the average change in perceived age difference was about seven years. "That being said, patients and facial plastic surgeons are aware that our abilities are not limitless in the effort to combat age-related changes, despite increased sophistication and diversity in our rejuvenation techniques," the authors comment. The research conducted by Nitin Chauhan, M.D., F.R.C.S.C, of the University of Toronto, Canada, and colleagues attempted to quantify the change in perceived age, which may provide an objective evidence of the success of surgical intervention and help in patient counseling, the authors acknowledge.